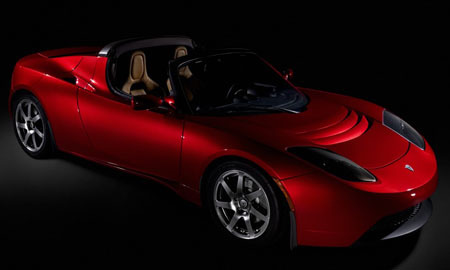 Tesla Asks Investors For Another $40 Million To Start Its Engines. Q. So you guys are on schedule with the car, first quarter of 2008? Elon: The primary schedule driver is the transmission. We had two suppliers in a row fail to deliver and so we are on our third now, actually we are running multiple paths, so that is driving our schedule. We will have limited production of cars in the first half of next year, but it will be quite limited, a very small trickle of cars, and then full production in the later half of the year. Q. What is limited vs. full production? Elon: It is a little too early to say, but it will not be a large number. Those cars will have a transmission which is not the final transmission. It will have an interim transmission. It will still be safe, but it won’t have the performance characteristics that we promised. And there may be some durability issues, not something that is made to last 10 years, but it should be fine for several months. We’ll have to swap that out, and we don’t want to make a whole bunch of cars with that transmission. But it will give us some good feedback for real-world driving conditions. All the crash tests and safety tests are done. One might think of this as a public beta, if it were software. Q. Will that swapping out those transmissions take a significant amount of investment that wasn’t planned on? Elon: It will require more investment than expected, yes. And so myself and other current investors are doing a substantial internal round right now. It will be $40 million dollars. It will close next month. Tesla is also on its third CEO. If it weren’t for Musk’s deep pockets, Tesla might already be in the deadpool. But nobody ever said trying to make an electric car would be easy. Sometimes ambitious startups need a billionaire with conviction to see them through the rough spots. Tesla’s other investors (which include Larry Page, Sergey Brin, Jeff Skoll, Draper Fisher Jurvetson, and VantagePoint) better hope that these rough spots don’t make Tesla’s wheels fly off.